Brett White, host of the Must Have Seen TV podcast, returns to INTO IT to discuss Star Wars Episode VIII: The Last Jedi. A spoiler-filled discussion of why we both loved the movie, and what some viewers seem to have missed about it. Support INTO IT on our Patreon page! Listen to INTO IT on iTunes. INTO IT art by Lauren Moran. Happy Holidays! Crystal Clods cohost Katie Schenkel joins in for an in-depth episode about one of the best Christmas movies of all time, 1954's White Christmas. Danny Kaye's comedic genius, Vera-Ellen's unmatched dancing, everybody Rosemary Clooney's related to, plus Edith Head and Bob Fosse. And yes, we talk about whether or not Bing Crosby's hot. It's Halloween! And that means JoJo Seames and Andrew Ihla are here once again, to talk about James Whale's 1933 classic The Invisible Man, based on the H.G. Wells novel and starring Claude Rains. There is a whole lot of running around naked in this movie, plus amazing special effects, comedic cops, and Una O'Connor. Jeff Lester of the Wait, What? podcast is on the show to talk about Steven Spielberg's 1975 classic, Jaws. A groundbreaking horror film, the first summer action blockbuster, or a jaunty adventure of three men at sea? It's all that and more. 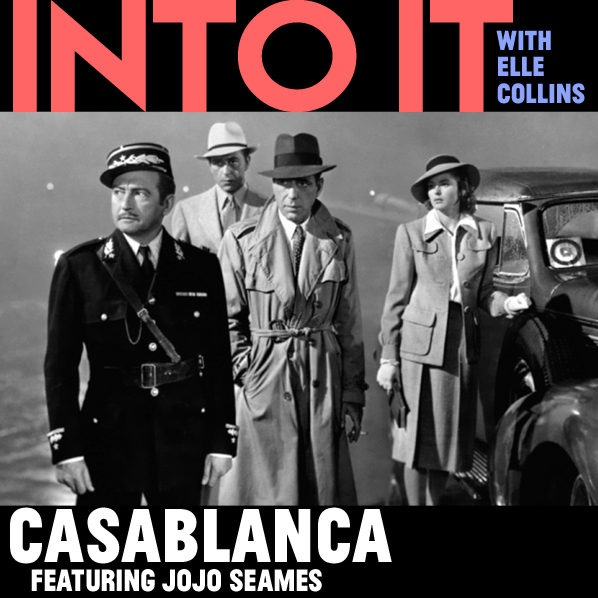 Artist and friend of the show JoJo Seames is here to talk about Casablanca! We come at it from every angle, from the refugee cast to the queer subtext to the use of light and shadow. Plus, why Conrad Veidt is the best. Stella Cheeks, co-host of Not Your Demographic, is on the show to talk about all three Blade movies. We talk about whether or not this vampire hunter manages to be as cool as the vampires, but we know he's at least cooler than Donal Logue, Triple H, and those ugly guys with the Alien tongues. Elle is joined by comics artist Traci Shepard, who's here to talk about her favorite comic book character Man-Thing! We have a whole conversation about Marvel's shambling monstrosity from the '70s. 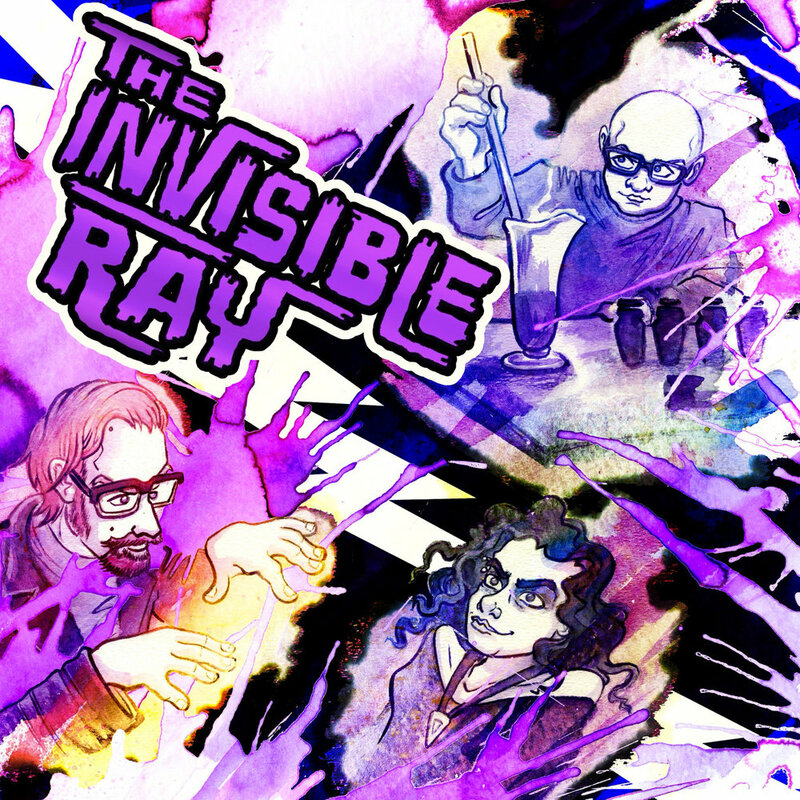 Why the comics are good, why the movie was terrible, and what all these wizards are doing here. Support the "Mossy" Kickstarter! Less than a week to go! You can also support INTO IT on our Patreon page!